If it’s not on the “must read” summer reading list for back to school prep, how many kids cracked a classic this season? How ‘bout a kidlit self-picked selection? An online virtual book club? An augmented reality fairytale? A graphic novel? Meaningful manga? Um, a poolside magazine, status line or text message? While some kids take reading for granted as a drudge and trudge ‘must,’ others use the power of reading like a force field to rocket into the future with unabashed triumph. Reading Rockets.org (logo/photo at left) will love this story shared today, as it’s a real life ‘show and tell’ of how much reading can be a game changer in life. This is part one of a two-parter on reading resources online and offline to engage, inspire, and give kids that tingly sensation that comes from reading as an elixir of hope, promise, companionship, escape, and pure joy and pleasure. As you read this ‘epic tale’ by colleague, friend, startup whiz, ‘hackademic’ and young edutech entrepreneur Kalimah Priforce, think about the ‘characters’ in your own life. How well do you know friends online beyond what you read? It’s odd how social media enables you to ‘know many’ and know no one. All too often we connect with like-minded ‘sea changers’ and talk abt our missions without seeing our ‘selves’ to connect the dots of how we got there…Case in point? Kalimah’s poignant prose completely floored me, partly because his childhood experience was totally off my radar and his storytelling was superb and partly because it was an uplifting, much needed fist-pump in my workaday media world where I get bombarded with distorted cues being sent to kids, which can dip my spirits into futility mode, like Don Quixote fencing windmills. Cue ‘The Impossible Dream’ soundtrack on this one, because Kalimah’s ability to distill the power of reading into a magically woven, very personal tale is a media moment worth sharing in itself. When I plopped it on my Facebook wall, a few friends snagged it to share right away, and I frankly hope it ‘goes viral’ for kids everywhere to see the joy of reading for pleasure and begin to visualize ‘Oh, the Places You’ll Go’ as Dr. Seuss would say. Please, Sir, Can I Read Some More? When Kalimah Priforce was eight years old and in foster care, he got more books the only way he could. He went on a hunger strike. Every great story has its miracles. A few weeks before reaching nine years of age, impossible became a daily part of my life as a foster care resident of a Bedford Stuyvesant group home–deep in the heart of Brooklyn. It belonged to the very powerful Central Brooklyn Coordinating Council (CBCC) of New York City. There weren’t many leisure activities other than a single television that most of the kids fought regularly over. Residents weren’t allowed to leave the premises except to attend school, group trips escorted by staff members, or chauffeured around in vans to fulfill medical appointments. Rather than engaging in squabbles with other kids about which shows to watch (Yo MTV Raps was very popular then), I monopolized a small library of donated books to satisfy my insatiable curiosity about the world. I read every book, many of them twice. As a result, I approached one of the group home staffers and kindly requested that they order more books to expand the library in a, “Please sir, can I read some more?” Dickensian way. I was the first to make such an odd request, so they ignored me at first, but I was persistent. I wasn’t convinced, and it didn’t help them that I had just finished reading the stories of Peter Pan, Encyclopedia Brown, Huckleberry Finn, The Little Prince, Pippi Longstocking, and other precocious youth. I wanted more books, and even tried negotiating with them. I was already a vegetarian by the time I arrived to the group home, and my dinner selections consisted mostly of salads and breads. I calculated that for every meatloaf or chicken sandwich I didn’t eat, that the agency was saving a dollar or two per day. My suggestion to them was that they use the money they were saving to purchase books. They angrily declined and forcefully stated that it couldn’t be done. Since all my negotiations failed, it was then that I decided, at eight, that if they couldn’t feed my brain, there was no use to them feeding my stomach. I wrote a letter to them declaring that I would fully withdraw from eating any food until they ordered more books. I was on a hunger strike, though I didn’t know what to call it. They called my bluff, but by the third day of my hunger strike, they were getting worried and threatened to have me psychologically evaluated and be force-fed. Their campaign to stop my civil disobedience included bribing my fellow dorm mate to bring food to my bed. I slept most of the day because of my volunteered malnourishment. 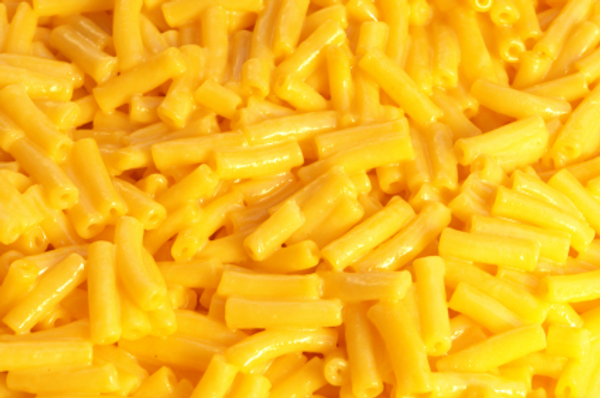 Once, I woke up and discovered a plate of macaroni and cheese (my favorite) beside my bed. I brought the plate to the kitchen, politely placed it on the counter, and returned to the male dorm. Day four was when my life would be changed forever, as the offsite director of the group home visited the offices and photocopied paperwork. I was mopping the floors near him (it infuriated the staff that though I wasn’t being fed, I continued to complete my assigned chores) when out of courtesy he asked me how I was doing, as he was directly involved in my social work case as the physically tortured and neglected Haitian kid who was brave enough to testify against his mother in family court. After an immediate shock and awe, he quickly arranged for a meeting between me and the staff. Through its duration, I sat right beside him. I always distrusted adults, so it didn’t help that they accused me of being obstinate, inferring that my eating disorders were due to mental instability on my end. Their words did upset me. However, their labels wouldn’t stick as accurate depictions of my character, because prior to and throughout my hunger strike I remained well-behaved. I completed all my chores in addition to assuming the cleaning duties of other kids who were too ill or traumatized to complete them during their first few days there. Chronic or intermittent homelessness will do that to anyone–especially kids and young teens. It’s completely demoralizing. He asked them for solid reasons why they didn’t inform him of the issue. They explained that they didn’t feel it bore enough importance to be referred upwards to him. This made him even more upset, and I was getting my front-seat first lesson on the spectacle of adult incompetence and mediocrity. They only cared about their jobs and would only exercise intelligence when they felt their jobs would be threatened, and so they “quieted” my request for books. If fear over the loss of their jobs wouldn’t have clouded their foresight, they would have seen this incident from the perspective of the director. If word had gotten out to major media outlets that a Black (Haitian) kid in what was once considered “The largest ghetto in the United States—Bed Stuy,” went on a hunger strike after his request for “more books” was denied by a taxpayer funded group home, it would have rocked the entire social services community. A city and state investigation of the CBCC organization would have been made, and absolutely everyone would have lost their jobs. The staff members weren’t thinking, and even at eight years old, I knew better than to take that level of stupidity too seriously. The director turned towards me, leaned forward, and promised me that if I ate immediately after the meeting, he’d personally see to it that more books be added to the library. Though I didn’t trust many adults, I respected him enough to agree to the deal. After the meeting was over, I went into the small cafeteria and ate lunch with everyone else. To this day, I’ll never forget that I had mixed vegetables and a cheese sandwich with plenty of mayonnaise. Grilled cheese never tasted so scrumptious. Surprisingly, the next day men in jumpsuits arrived to set up bookshelves for the boxes of new books that had just been delivered. How he pulled it off so quickly, I will never know, but I marveled as I saw the covers of The Hobbit, D’Aulaire’s Greek Myths, Twenty Thousand Leagues Under the Sea, Oliver Twist, and The Lion, the Witch and the Wardrobe for the first time. At that moment, I knew I would be destined to be the smartest boy in the world! One of the female staffers approached me with an envelope, rather than lazily calling me into her office as she usually did. It was a typewritten letter from the director I had brokered the deal with. I don’t recall the exact words, but it was a permission slip that allowed me the special privilege to leave the group home during visitation hours—to the local library and museum. As long as I had the letter, and showed it to the museum receptionist, my admission would be free. I imagine this was a preventive measure on his part in expectation that I would finish reading all the books in the group home library–and I did. I was the only group home resident given this access. Standing up for the right to read books drastically changed my world. Eventually, I would be discovered by a Buddhist nun (impressed by my juvenile hunger strike story) and along with her monastic community, provided me with a free five-year-long formal education and tutorship. In 1999, New York City finally ended a multi-million dollar contract with CBCC after a crackdown uncovered the foster care agency’s widescale mismanagment and corruption. Also, it wouldn’t be the last time I held a hunger strike against seemingly powerful change-resistant forces. 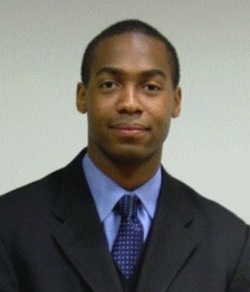 During my sophomore year at Central State University, when faced against a school administration that wouldn’t budge on its policies toward the dietary needs of students, I held another hunger strike that brought the heads of a major food corporation together along with college administrators. I presented my proposal that by tailoring menus to address the dietary diversity of the student body, it would save them money and benefit both parties. After negotiations were made, I broke my second and last hunger strike with a veggie burger that they prepared for me. Every good story has its miracles, but every miracle needs pushing. The problem with “in the box” education solutions is that they run counter to recent studies revealing that when we place students from lower socioeconomic backgrounds into the same classroom with higher income students, they still perform below expectations. That’s because the key to knowledge is exposure, and exposure is what we don’t talk enough about in education circles. The difference between kids that make it and ones that don’t isn’t decided by test scores or even their natural talents, but more to do with whom and what they are exposed to. Thanks to Twain, Barrie, Dickens, Caroll, and so many more…books gave my earliest dreams the push they needed to make the incredible journey from the confines of a Brooklyn group home to the learning labs of Silicon Valley—where I currently run an edtech startup. My life’s work is about giving every learning miracle its push. So every morning when I smile into the mirror, a precocious eight-year old boy smiles back at me, because his miraculous journey is far from over. Please sir, can I read some more? photos: grilled cheese by lsiegert on Flickr, mac and cheese via SheKnows.com, others courtesy of the author and SY/stockphoto archives. 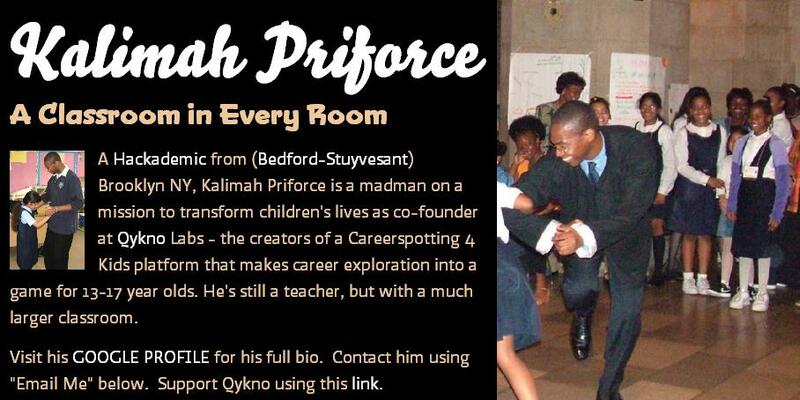 Kalimah Priforce is a “madman on a mission to transform children’s lives” as co-founder at Qykno Labs—the creators of a Careerspotting 4 Kids platform that makes career exploration into a game for 13-17 year olds. By blending real life role models captured on video with an edtech/gaming twist, Kalimah is bringing meaningful content into what we all know is a compelling platform…the power of play mixed with informal learning. His initial love of reading and nourishing has vaulted him into the brain trust arena of TED ED as a colleague and leader to watch. There’s plenty of push-pull on whether ‘this generation is reading less’ or simply reading differently, with snazzy iPad apps and digital stories online, but Kalimah’s story today in Part One validates the notion that reading for pleasure to feed the senses and spark the mind is an elixir accessible to all, given the right resources. Have extra books to clear out?